When orphan Mary Lennox arrives from India to live with her uncle, everyone at Misselthwaite Manor thinks her a most disagreeable child. Then one day she discovers a secret garden, locked and hidden for ten years. With the help of a young boy called Dickon and her spoilt, invalid cousin, Colin, Mary brings the garden back to life; and as she does, the mystery behind it is revealed. 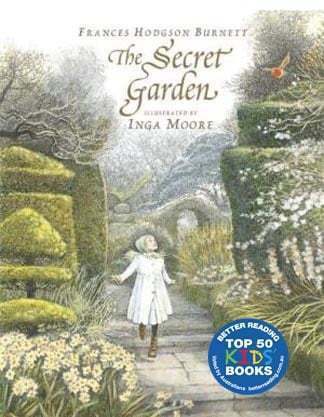 An instant classic, The Secret Garden has been cherished by generations of readers since its publication in 1911. 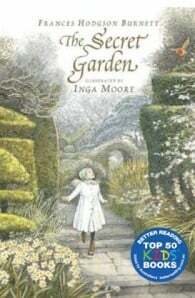 It is stunningly illustrated by Inga Moore. It features original unabridged text and beautifully observed illustrations. Perfect for bedtime reading, this sumptuous edition of Frances Hodgson Burnett’s timeless story is a gift to be treasured.